Around the wider world of golf: Danny Willett won the DP World Tour Championship on the ET while Francesco Molinari took the Race to Dubai; Lexi Thompson won the CME Group Tour Championship on the LPGA while Ariya Jutanugarn won the Race to the CME Globe (as well as the Vare Trophy and pretty much everything else); Abraham Ancer became the first Mexican to win the Emirates Australian Open on the Australasian Tour; Isidro Benitez won the 113 VISA Open de Argentina on the PGA TOUR Latinoamérica; Kodai Ichihara won the Dunlop Phoenix Tournament on the Japan Golf Tour; and Shubhankar Sharma won the ET's Rookie of the Year Award. 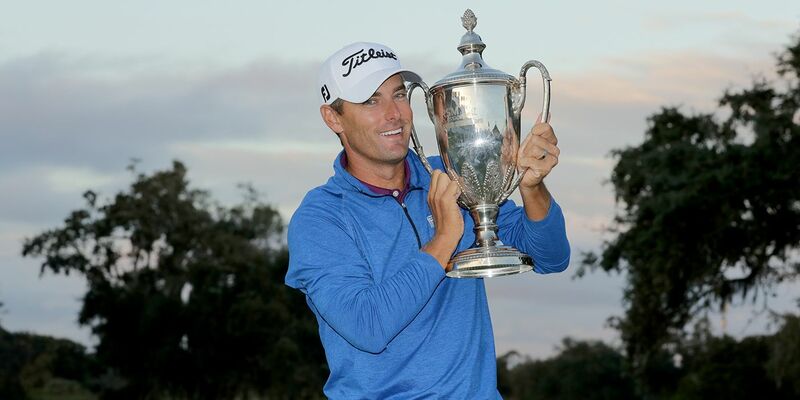 We've seen several players end long winless droughts this season, but the way Charles Howell III did it has to be one of, if not the most dramatic of the year. After starting 3-over after two holes, Charles went 6-under over the next 16 holes to force a two-hole playoff. Which he won in dramatic fashion. He didn't back into the win. He birdied 15, 16 and 17, then he hit putts that barely missed going in on 18 twice. The third putt on 18 didn't barely miss. And CH3 nearly broke down in tears when it didn't. I'm sure he's been near tears several times over the last eleven years as well. I personally don't think a player needs to apologize for 'just' keeping his card and making millions of dollars in an age where young hotshots with no staying power come and go every year. But Charles believes that he should have won more, despite the fact that "potential" often means nothing in the real world. Clearly though, the struggle has toughened him up a bit and forced him to become a better player. And he ends this part of the wraparound season with a win and a shiny new Limerick Summary -- his first! -- as he enters Thanksgiving week with the appropriate attitude. Congrats, Charles! With Charles’s third PGA win. But this week he’s the best that he’s been.